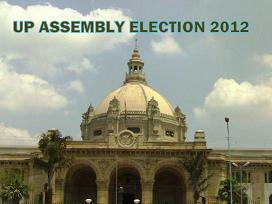 The process of filing nominations for the seventh phase of the UP assembly election comprising 60 assembly constituencies in 10 districts of the state will begin on Monday. The nomination process will start at 11 am immediately after the issuance of the notification, said chief electoral officer (CEO) Umesh Sinha. He said that in the seventh phase, the filing of nominations would begin for 10 districts in three divisions of Lucknow, Moradabad and Bareilly comprising Bijnore, Moradabad, Bhimnagar, Rampur, JP Nagar, Badaun, Bareilly, Pilibhit, Shahjahanpur and Kheri districts.